6 x 9 x 0.7 inches, 1.6 lbs. 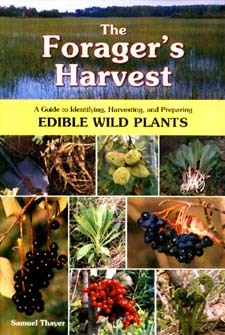 This classic book on edible wild plants is a favorite of naturalists and survival instructors throughout North America. It has been a perennial top seller on this subject. Rather than cover hundreds of plants in abbreviated accounts like the typical field guide, the author has chosen a smaller selection of species to discuss in exhaustive detail, including only those plants he has eaten fifty times or more. Over 100,000 copies sold! 6 x 9 x 1.1 inches, 2.1 lbs. The second book in this series, Nature's Garden follows the same format as The Forager's Harvest, covering a whole new but equally fantastic set of plants. This is a detailed guide to all aspects of using the plants, from identifying and collecting through preparation. Covers 41 plants in-depth and the text is accompanied by multiple color photos. 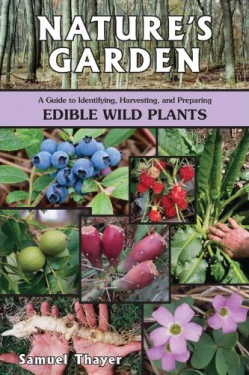 This is one of the most highly acclaimed foraging books ever written, and has remained among the top selling wild-food titles nationally since its publication. Over 65,000 copies sold!